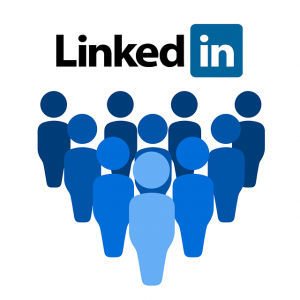 Many scammers have woken up to the fact that a lot of users of LinkedIn trust it more than do Facebook, Twitter, Instagram etc. After all, it’s for business people only? – right? The layout of the message and the text is copied directly from a LinkedIn message so it does look realistic and what could be the harm in reading a LinkedIn message? But the message is actually from ae.ge.com and is not from LinkedIn so clicking on it could lead to a fake website, or fake page simulating LinkedIn. Another give-a-way is that further in the email are links to view/reply to the message and one to adjust your message settings. Both of these links are actually identical to the first one to read the message – the scammer cannot be bothered creating three separate links so just duplicates the first ones and makes them look different. Do not click on LinkedIn messages unless you are convinced they are genuine.